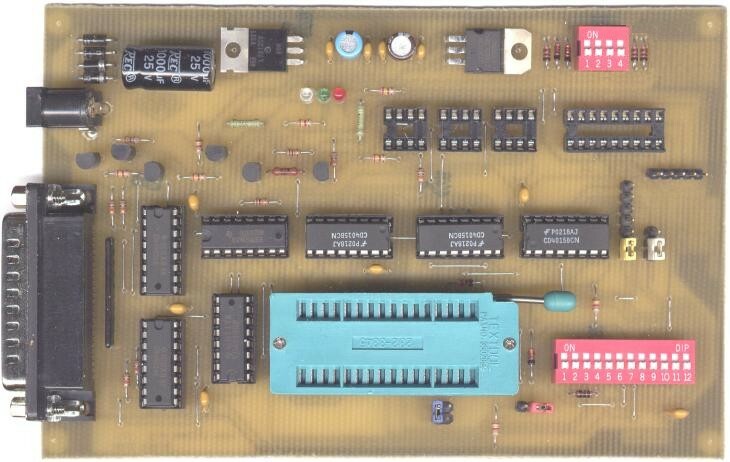 can i program ATMEGA8 WITH this programer? and how? Have you tried reading the documentation where you got that project from? It looks like its for PICs, but like KINGTIGER says read more about where you got the schematics from, also that programmer looks rather old, its still using LPT, yucc :P .
HERE It includes schematic and firmware to build yourself. I agree 100% with Electropepper. Buy a commmercial programmer or build one from a kit. You will find support in either case if you have questions. The one shown looks old and who knows if it supports the chips you will eventually want to program. Do you plan to use AVRStudio for writing and compling your programs? KINGTIGER, it appears that you don't want to use an Arduino (where only a usb cable is needed to program the chip) but rather have a ATMEGA8 in mind -perhaps because of a project you found uses one? Or, you want to do direct programming. Have you considered the 324u breakout boards from Adafruit. The 324u a broader capability than the Atmega8. You only need a USB cable (no programming board) and Studio software to program using C. It has a on board led that you can toggle to ensure your output timing is correct and you don't need to make a pcb to program it.